The pan every kitchen needs. Crafted for sheet cakes, these pans are great for so much more. 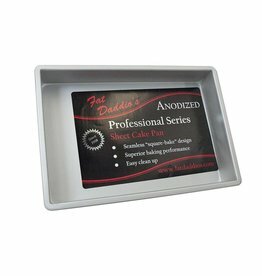 Ideal for cake, brownies, pastries and bar-type cookies. 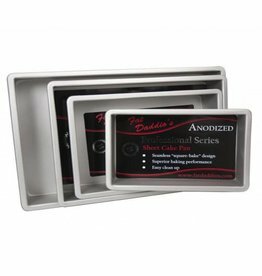 The anodized aluminum is non-reactive to tomato sauce and citrus ingredients, so the pans are perfect for casseroles, lasagnas, and roasts too. At eCakeSupply we make baking and decorating easy!